KIEV, Ukraine -- Ukraine and European Bank of Reconstruction and Development (EBRD) agreed Tuesday on intensification of raising funds for completion of all the Chernobyl nuclear power plant's projects to convert it into a secure facility. Deserted secondary school near Chernobyl. The agreement was reached at a meeting of joint Ukraine-EBRD committee headed by Ukraine's Deputy Prime Minister Andrey Kluev and EBRD vice president Horst Reichenbach. Both sides agreed that the Ukrainian government will approve schedules for implementation of all Chornobyl projects that will be coordinated by the EBRD. According to the EBRD vice president, the precise estimates of the cost of all projects have already been set. Reichenbach expressed conviction that they will be approved by the Assembly of Donors as the basis for the further fund raising. Reichenbach has also expressed hope that Russia would take a more active role in allocating resources to address problems of Chernobyl. "An important step in this direction will be a meeting between a group of representatives of the G8 and Ukraine in the second half of October", he said. In turn, Kluev vowed "there will be no any problems related to financing the Chornobyl projects from the state budget." An optimized estimation of the Chornobyl projects cost, worth about 2 billion dollars, has been presented to the Assembly of Donors on Sept. 28, and required additional contributions of the donor countries to the Chornobyl Shelter Fund, approximately 850 million dollars. Ukraine in September began construction of the foundation for a new plant's sarcophagus to cover one of the destroyed reactors. 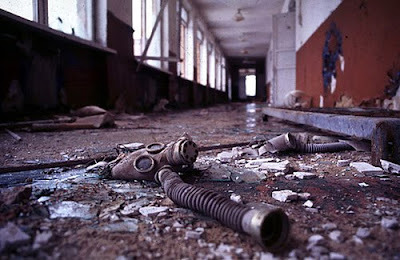 Earlier, 2011 was declared in Ukraine as "the year of solving problems of Chernobyl." An international conference dedicated to the 25th anniversary of the Chernobyl disaster in Ukraine will be held in April, 2011. The disaster, the worst nuclear power plant accident in history, occurred in April 1986, at the Chernobyl nuclear power plant, 130 km (80 mi) from Kiev.